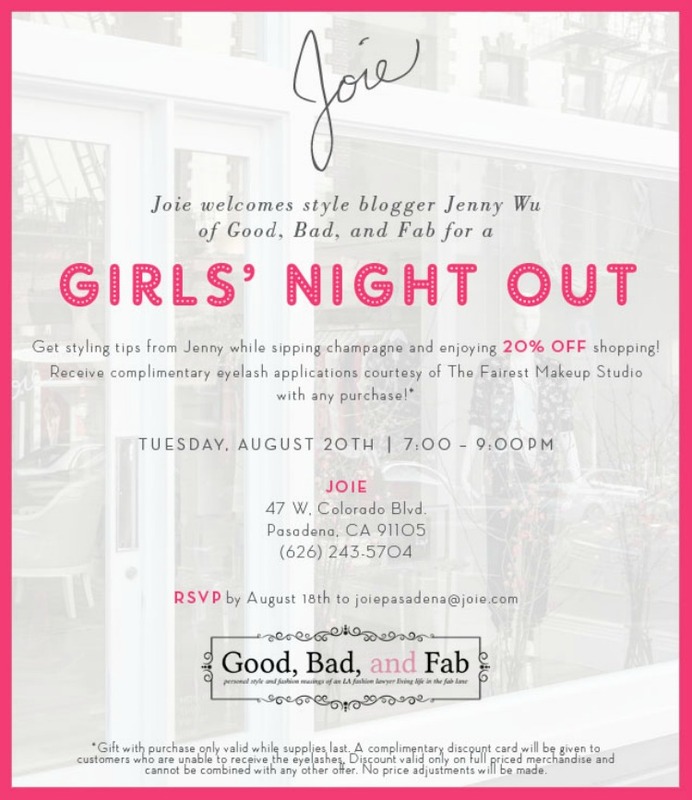 I hope you can join me tomorrow night at Joie Pasadena from 7-9pm for drinks, shopping, and style chat! Please RSVP to joiepasadena@joie.com. If you stay until the end, I'll buy you a blue crab roll and sake bomb to wash it down with at Sushi Roku. That list consists of a small apple, a small orange, 4-6 medium strawberries and a half grapefruit.